The 15th anniversary rally is being held in May 2013. The start is in Copenhagen on the 18th May and finishes, roughly a week later, in Monaco just in time for the F1 Grand Prix. The 15th anniversary rally is being held in May 2013. The start is in Copenhagen on the 18th May and finishes, roughly a week later, in Monaco just in time for the F1 Grand Prix. A party will be held at each of the staging points to alleviate the "boredom" of driving 3.000 miles in one week. The most anticipated car at this rally will be a replica of the Batman Tumbler, driven by Team Galag from Saudi Arabia, who will also be desiging a bespoke supercar specifically for this rally named TG1. Apart from the odd supercars to the more regular ones, you can always expect a party on wheels when Gumball 3000 invades a country on the path to the finish line in Monaco. The Gumball 3000, annual rally has become a week long festival hosting music concerts, action sports demos, art exhibitions and spectacular car shows in each city centre from China to Los Angeles and everywhere in between over the last 15 years! Gumball 3000 promotes safe driving, works with several charities, is supported by authorities and Governments and is sponsored by global blue chip companies. It's not a race, it's a rally! Every year the Gumball rally is broadcast to hundreds of millions of viewers all over the world. With countless films produced and released through Gumball's own independent film company, and the hilarious documentation of one of the Jackass boys' many rallies, it has created a reputation for producing funny, cutting edge broadcasting. During the week of the rally it hits the headlines with televised live news reports on MTV, CNN, BBC, SKY and FOX News along with local networks and online coverage. The event is also filmed as an 8-part series and a documentary that is released internationally on DVD. The 8-part series is aired in over 60 countries on MTV, Channel 4, Extreme Sports Network, Men & Motors, Dave and Speed Channel among others reaching a mass consumer mainstream audience all over the world. Gumball 3000 attracts the world’s most prestigious press and media. From exclusive high-end quarterlies to mainstream newspapers and TV. Gumball 3000 produces stories that capture the public’s imagination. Since 1999 Gumball 3000 has featured on the cover of Vanity Fair, GQ, Esquire, Maxim and FHM among others. Our online presence is a major factor in publicising the event through the year with Gumball3000.com receiving over a million hits a day during the rally. Gumball, with its already well-established style and identity, combines seamlessly with sporting and fashion brands alike to create one off attention grabbing pieces. License deals and co-branded products have been an integral part of building the relationship which gains phenomenal PR exposure. 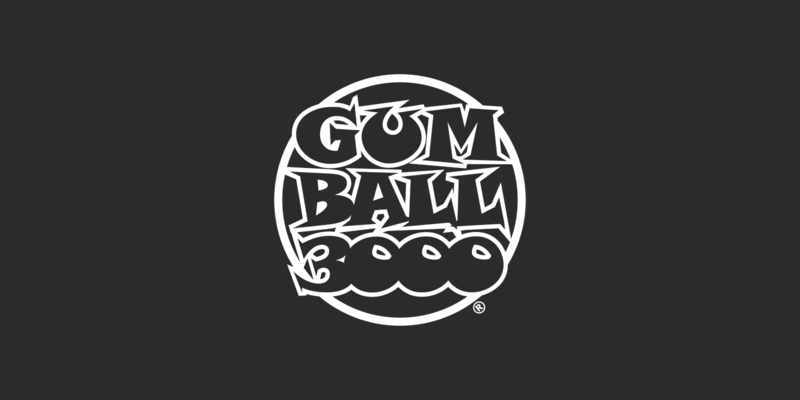 Gumball 3000 has collaborated with several footwear brands, watchmakers, fashion labels, underground street wear companies, energy drinks and many other world class brands. What type of cars can one expect in the 2013 Gumball 3000 Rally? What we've gathered there are going to be the following type of cars participating in the 2013 Gumball 3000 Rally from Copenhagen to Monaco. Basically high-performance Gran Turismo cars like Bugatti Veyron, Ferrari F12, McLaren MP4-12C, Bentley Continental GT, Mercedes SLS AMG, Ferrari 458 Italia, Ferrari F430, Bentley GTC, Aston Martin DB9 Volante, Aston Martin Vanquish, Porsche Cayenne Turbo, Lamborghini LP670-4 SV, Audi R8 V10, Mercedes CLS 55 AMG, Maserati Gran Turismo, Mercedes McLaren SLR, Porsche Panamera Turbo, Range Rover, Ferrari 599 GTB, Lamborghini Gallardo, Maserati Quattroporte, Porsche 997 GT3 RS, Ferrari 612 Scaglietti, Nissan GTR, Porsche GT2 RS, Ferrari 360 Modena, Ferrari 599 GTO, Lamborghini Aventador, AC Cobra and many many more. It's one of the best events for car-spotting in the world with many opportunities for great photos.